Going on a first date can be a lot like going to interview for a job that you really want. Both are nerve wracking experiences that you can make easier by following our quick guide below! Interview: As you probably know, the key to succeeding in an interview is to research the company that you are trying to join. Take a look at the clients they are involved with, the company history and its social media sites to see if it was mentioned in the news recently. Date: This also applies to a first date – whether it is a friend turned beau, a blind date set up by mutual friends or a Bumble/Tinder date, do a bit of research. Now, we don’t mean that you need to behave like Joe in the Netflix show ‘You’ (stalker alert!) but see if you can find them on social media and if you have anything in common, then bring that into the conversation if it isn’t flowing on the night. The one thing you don’t want to do on the date is let on that you have checked them out online beforehand, but definitely, do this for your interview! Interview: Prior to the date of your interview, make sure you are aware of where and when it is taking place. This sounds basic, but sometimes when you are wrapped up in the excitement and nerves of the job seeking process, it can be left to the wayside. Check your route before the day. See how long it will take you to get there, and time it so that you arrive early, by at least 15 minutes. You do not want to be flustered on arrival as it will set the tone for the rest of the interview. Date: A good first date tip is go somewhere that you are familiar with. Knowing your surroundings, you may not be as stressed. Try not to be late for the same reasons as the interview. You are trying to make a good impression here and turning up 10 minutes late, absolutely flustered may not be the way to win their heart! Interview: Your appearance matters. This will be the company’s first impression of you so make it a good one! Plan your outfit in advance of the interview so that you don’t have to think of it on the day. This should reduce your stress levels as you get ready as everything is prepared for you. Make sure that you do not go for a very casual look. Business attire is worn in most office and so dressing in business clothes can show that you are taking the interview seriously. Date: A handy tip for this– if you work in an office, organise your date to take place after work. This means you are already dressed up and ready to go at 5.30. Try to find a coffee shop somewhere between where you are both coming from and meet there! Interview: Have a list of questions about the company. Some of these may have come from your research and others can be focused on finding out about the culture of the office. Ask about the role you are applying for, is it newly created or have they had someone in the position previously? Ask about the company, what type of plans do they have for the future? Date: Again, this is useful for a date but try not to walk in with a sheet of A4 paper in your hand and a list of questions ranging from their mother’s maiden name to their family medical history. They may think you are trying to involve them in a scam! Run over a quick list in your head before you meet up of what could be good date conversation, and try and avoid small talk about the weather unless you really have too. If you are feeling fairly cheeky, you can ask similar questions to the job interview and find out what happened to the person previously in the “position” you are going for – but we don’t recommend this as a first date topic! Interview: Bring a few extra copies of your CV. You never know how many people may be in attendance at the interview. Consider bringing a pen and paper. It can sometimes be useful to take notes during the interview process, however, if you think it is something you will rely on and therefore be less responsive, leave it at home! For the ladies, if you are wearing tights, bring an emergency pair. You never know when a ladder is going to appear! Date: Forget the CV, Paper and Pen for the date. While it is a type of interview, we don’t think anyone wants to see the minutes of a first date written down – not if you are like us and make some silly comments when you are nervous! Interview: Eat well the day of an interview. Make sure you are not snacking on sugary foods which would not have a calming effect. Consider exercising the night before/morning of. This can release some of the tension you are feeling and can help to calm you on the day. Date: Same goes for the date! Before you head out to meet them, make sure you have a bit of food to keep you going. It can help to keep the butterflies away! This is the most important thing to remember throughout the interview and dating process. Make sure that you are putting your true self forward by being relaxed. If you are feeling nervous or need someone to run through your experience with, remember, our recruiters will be there for you every step of the way and you can also check out our interview preparation guidelines here. 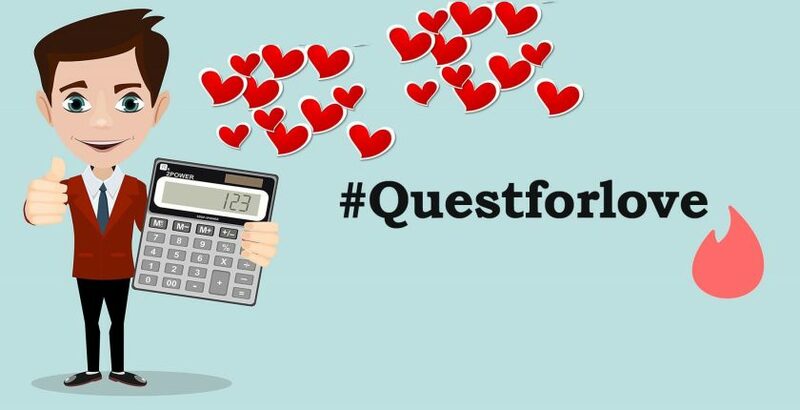 While you can reach out for some dating advice as well, I can’t say we will be able to help but tell us about your dates using #QuestforLove.